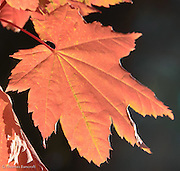 Fall is the time of dramatic colors and contrasts as Mother Nature shifts from the soft greens of summer to winter. The yellows and reds in the Pacific Northwest stand out against the broader landscape. This art portfolio captures designs from single leaves to broadly colorful settings. 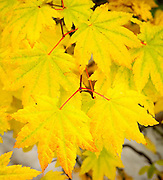 The colors form as the chlorophyll, which gives the green color, gradually begins to break down. Berries are also colorful at this time and create an interesting contrast with the surroundings.